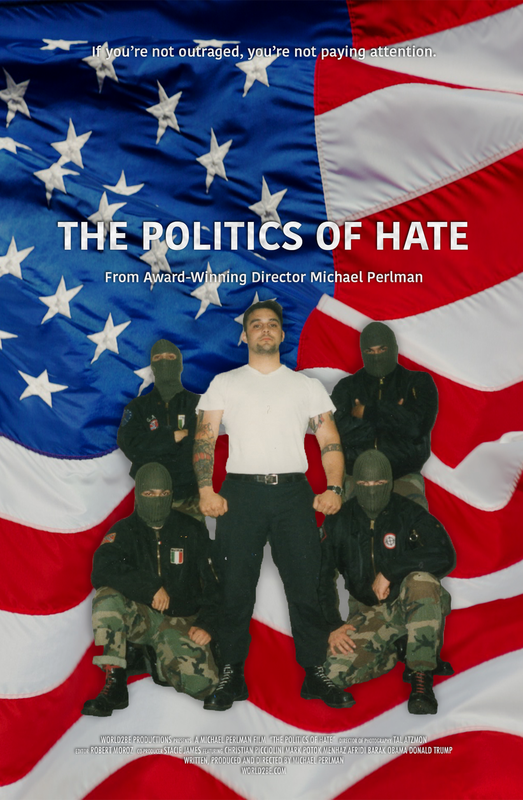 From the award-winning director Michael Perlman (Tibet: Beyond Fear, Free China, The 99%) comes the inspiring the story of a former white supremacist leader who now combats hate, featured on 60 Minutes. His remarkable story is interwoven in this timely TV documentary that explores the rise of the far right in the US and Europe while offering solutions and a hopeful message that individuals and society can change for the better. The film was made with the support of the SPLC, the ADL and The US Holocaust Museum. This insightful and expansive film examines the interconnection between fascist ideologies in the US and Germany that led to the Holocaust straight through to the white supremacist marches in Charlottesville. It also sheds light on political leaders who support the far right as well as the Russian government’s direct involvement. The documentary highlights a historical pattern of people working for a more inclusive and equal society that are met by a fierce backlash but ultimately results in a better future.